Whether it's the purple prose of overeager high school students, the lardy lingo of pretentious professionals, or the partisan rantings of just about every other website, most people don't write well. Worse, they don't even seem aware of it. 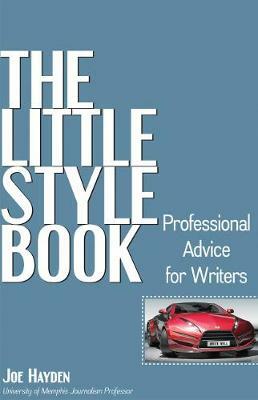 The Little Style Book can separate you from the pack in minutes. Twelve pointers guide readers through some of the most crucial principles and subtler techniques that effective writers employ. Using the same pared-down, graphic approach as The Little Grammar Book , by the same author, this slim reference shows you how to write with power and grace. It does so with a minimum of fuss (and text). At fewer than 100 pages, it's clear, direct, and above all useful. Publisher: Marion Street Press Inc.